Apple recently upgraded its 2018 15-inch MacBook Pro with Vega 16 and Vega 20 graphics processors, giving these machines a much-needed performance boost in the GPU department. While the company could have introduced these variants first rather than the notebooks getting outfitted with an AMD Radeon Pro 560X, something is still better than nothing. 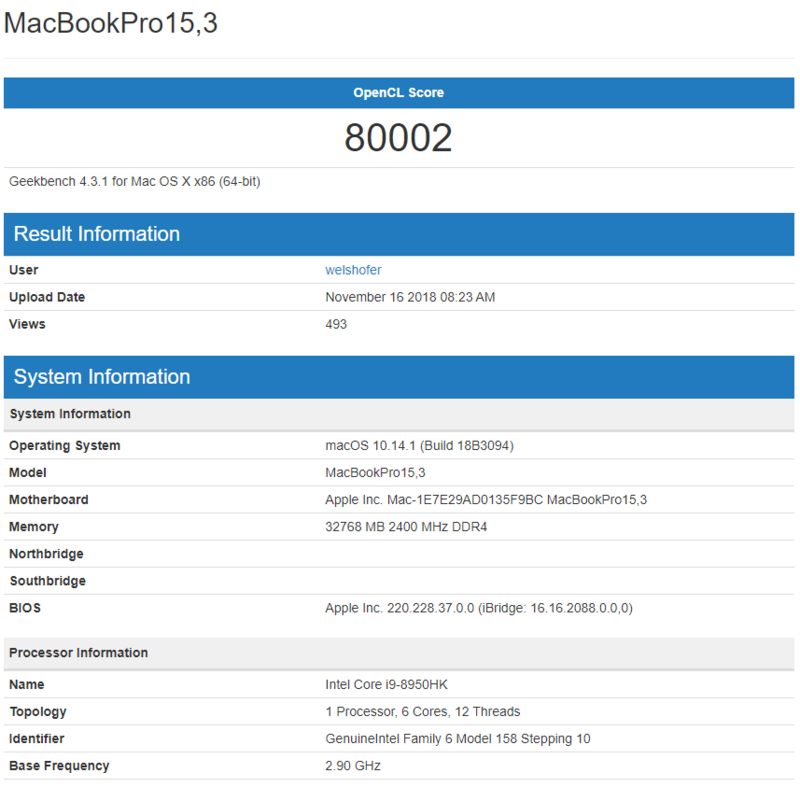 A wave of benchmarks highlighting the performance of the MacBook Pro with upgraded internals have come forth, revealing the differences in scores that one can expect should they configure these products accordingly. Thanks to a MacRumors reader, the 15-inch MacBook Pro’s benchmarks while equipped with Vega 20 graphics have surfaced. The highest configured MacBook Pro features an Intel Core i9-8950HK processor with six cores running at 2.90GHz coupled with 32GB of DDR4 RAM. The OpenCL score obtained by this configuration is 80,002, while the Metal score is 73,953 while benchmarking the same hardware. This is a considerable jump over the machine that featured the AMD Radeon Pro 560X. The highest score that was obtained by this configuration was 6,1046 on the OpenCL side. 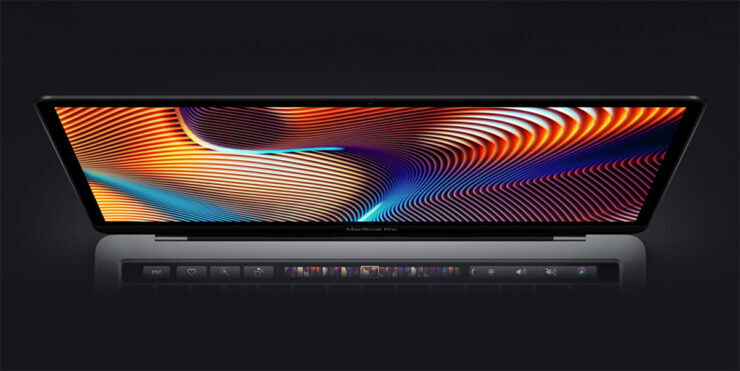 According to Apple, users can expect up to a 60 percent increase in graphics performance when they configure their MacBook Pro model to feature either a Vega 16 or Vega 20 graphics chip. Unfortunately, these upgrades are going to cost you. Considering that the base model of the 2018 15-inch MacBook Pro is an expensive piece of machinery starting at $2,799 for a Core i7, 16GB DDR4 RAM, 512GB PCIe NVMe SSD storage model, selecting the Radeon Pro Vega 16 with 4GB of HBM2 memory will start at $3,049. As for the Vega 20 variant, it will come at a price of $3,149. Lots of content creators that want to experience the macOS platform and gain access to its exclusive applications will need to pay a hefty sum, and Apple always loves its premiums. Do you think the price is justified for something that features Vega 16 and Vega 20 graphics? Let us know down in the comments. Also, if you want to check out more coverage related to Apple’s 2018 MacBook Pro lineup, you can read the links given below.